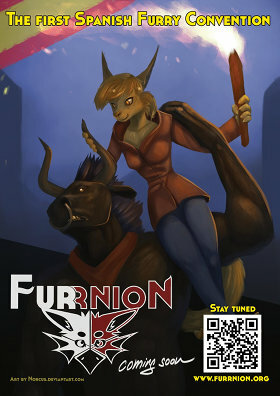 A new event, Furrnion, has been announced as "the first Spanish furry convention". 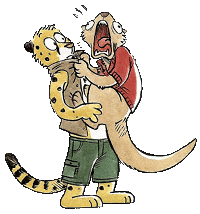 Slated for January 2017 in Madrid, the event is being organized by a team of "more than 20" led by local furs Salmy, Troxy and S-Cheetah. Furrnion is to be presented in English as well as Spanish, in the hope of attracting dealers and attendees internationally. Features outlined on its website include a dealers' den, art show and auction, nocturnal raves, and a fursuit lounge. Staff are still being recruited; registration is to be opened in April, assuming all goes to plan. The first local event - Ibercamp, a mountain camp launched in 2012 - attracted 60 furs in its second year, but was not held subsequently. August 2015 saw the introduction of another camp, Furbest, with 29 listed attendees (video). Here is a “stealth” anthropomorphic animated feature that has just appeared. Psiconautas (Psychonauts), directed by Alberto Vázquez and Pedro Rivero, and produced by ZircoZine in Santiago de Compostela & Basque Films in Bilbao, has just premiered at the 63rd (2015) San Sebastián Film Festival (September 18 to 26) on the 24th. No word yet on when or where it will be generally released. 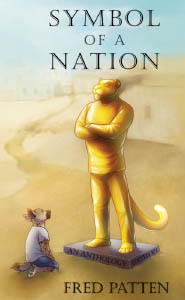 Psiconautas is based upon the graphic novel by Alberto Vázquez. The synopsis is “Teenagers Birdboy and Dinky have decided to escape from an island devastated by ecological catastrophe: Birdboy by shutting himself off from the world, Dinky by setting out on a dangerous voyage in the hope that Birdboy will accompany her.” This may be an animated cartoon, but it is clearly not a “cute” film for children. NSFW warning: The trailer does contain some violent imagery. 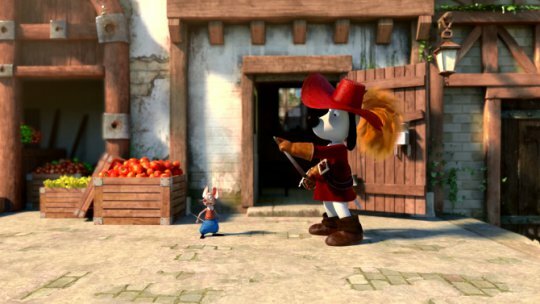 Adding to the list of upcoming anthropomorphic animal movies, a feature film version of 1980s cartoon Dogtanian and the Three Muskehounds was announced at the Annecy Film Festival on June 15. As the title suggests, Dogtanian was an adaptation of The Three Musketeers, with dogs in the roles of d'Artagnan and his friends. Your humble reporter surely cannot have been the only nascent furry to be stirred by the portrayal of Aramis, one of literature's great lovers, as a Springer Spaniel. Television: Is 'Las Cuevas' anthropomorphic? Who knows? Animation Xpress volume 10, #370 for October 3, 2012, headlines “MIPCOM ‘12 Special: Las Cuevas, a 52 x 13, 2D Animated Television Series by Ink Apache”, by Zeenia Boatwala. Danny is a new kid in the town of Las Cuevas and has a fresh eye of a newcomer, wanting to know more about this town whereas Balti, who is born and raised in Las Cuevas is packed with full of local knowledge and the entire series is based on Danny and Balti encountering and solving mysteries. Yeah, but is it anthropomorphic? Apparently not, but the press release does emphasize “SPINE-TINGLING CREEPINESS” and “paranormal” so much that there may be a few ghostly or enhanced beasties in it. Check out the bizarre promo art. There is a non-anthro dog. Demand appears high for the first two-day furry event in Spain - Ibercamp, held in the mountains outside Salem, halfway between Valencia and Alicante. Food, drinks (including a few hours of open bar at the kareoke), and a bungalow spot are included in the €75 registration fee. While it seems likely that most attendees will come from the Iberian Peninsula, organizer Alex Vixgeck reports registrations from regions as far afield as Basingstoke in the UK. Some wishing to attend may have to wait for 2013, though, as the 24 spaces filled up in 24 hours.